If it is a pot of gold you are needing the best solution would be to grab your nearest leprechaun so he can help you find it. The Shamrock N Roll game is a great way for you to see how lucky you can get with getting a huge fortune off your wager. Shamrock N Roll is a game by Nektan Gaming, which is an online casino gaming company registered in Gibraltar. All games by Nektan come with graphics that play out extremely well on mobiles making gameplay very smooth. This is certainly true of this game as well, and you can enjoy yourself as you play it on your smartphone. With 5 reels, 3 rows and 25 paylines, Shamrock N Roll is an Irish flavoured adventure game that will see you helping the leprechaun as he tries to find you the pot of gold at the end of the rainbow. In return all you need to do is to place a deposit on a spin and then begin to spin the reels to get matching symbols on a payline. 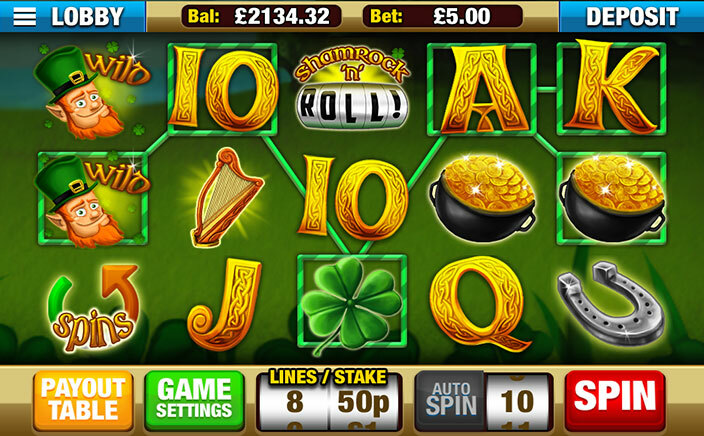 The various Irish themed symbols will give you a good payout if you manage to get three or more of them. If you get all five of them to make a matching payline, you can get a huge multiplier of 1000x for the game’s logo icon, 500x for the pot of gold icon, 400x for the harp icon, 250x for the shamrock icon and 150x for the horseshoe icon. You can also get smaller multipliers for the card icons. · Wild Substitutions: Shamrock N Roll has a wild symbol as the little green man himself and he can help to stand in for other symbols so that you can make a complete winning payline. · Free spins: Three or more of the Spins arrows can help get you free spins in the game. You can get 15 free spins for 3 of the Spins signs, 25 free spins for 4 for the spins signs and 50 free spins for 50 of the spins signs. 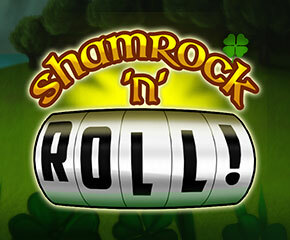 Shamrock N Roll is a medium variance game with an RTP of 96.3%. It is a fun way for you to relive Irish fables about leprechauns and lucky shamrocks and is also the perfect way for you to make plenty of money against your wager if you are lucky enough. Keep spinning the reels for your chance to make it big with this game, and your luck will make sure that you do not regret it.